I think the world might be on a roll with post-apocalyptic youth fiction, because this is the second in a row that I have for you from my list of exceptional reads. Sharon Cameron brings her own fantastic twists to the genre in her book The Forgetting. Again, I approached the first chapter with apprehension and the question: will this be a repeat of The Hunger Games or Divergent? And again I found that, no, there is so much more to be explored in these stories. The Forgetting introduces us to Nadia, the Dyer's daughter, in the city of Canaan, "where life is safe and structured, hemmed in by white stone walls and no memory of what came before". Every twelve years the people of Canaan go through a period they refer to as "the Forgetting", where everyone in the city forgets everything about themselves and their past. Everything is lost, unless it is written down, which is why each and every citizen of Canaan carries on their person a book. This book is their truth, their identity, and their salvation every twelve years when they wake up after the Forgetting and need to rediscover who, what, and why they are. Nadia, we immediately discover, is the only person in Canaan who has never forgotten. In the history of first lines, the opening to The Forgetting is one of my favourites. It encompasses Nadia's voice in all of its cleverness, wit, and snark. "I am going to be flogged, and I don't know why I'm so surprised about it" (p.1). The book is written in the first person, and present tense, which I have found makes the story all the more immediate, and easier to get lost in. I put everything on hold to lose myself in this story. Nadia's voice is gentle, but full of witty narration. She is notorious in the city of Canaan for speaking little, but the perspective of what's going on inside her head is an endless conversation that never loses its edge. It takes a specific kind of person to get Nadia talking out loud, and there are a few of them lingering in the streets of Canaan. Between Gray, the glassblower's son, Rose of the Lost, and Genivee, Nadia's younger sister, she has no hope of staying silent for long. The Forgetting places powerful emphasis on the importance of family, the detriment of isolation, and the necessity of community. Sharon Cameron writes in such a way that it's impossible not to get stuck in Nadia's head. The sequel to Nadia's story, The Knowing, was released in October 2017, and I am desperate to get my hands on a copy. For more information on The Forgetting by Sharon Cameron, visit our website here. "Either she and her children would emerge from that wilderness together, or none of them would…"
The moment I saw this book come into the store, I reserved a copy for myself. 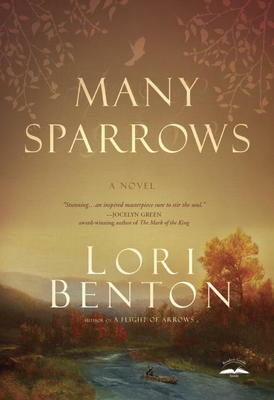 I LOVE historical fiction and Lori Benton did not disappoint with her newly published book Many Sparrows. The story takes place in 1774, two years before the American Revolution starts. Virginians Clare and Philip Inglesby, with their four-year-old son Jacob and a baby on the way, decide to head west to meet up with a man who wants to settle farther west into hostile Native American territory. Not wanting to leave her family and everything she's ever known (especially being eight months pregnant), Clare is hesitant. After their wagon crashes, Philip is forced to go back to the previous settlement to get help, forcing him to leave Clare and Jacob alone on the remote trail, promising to come back. 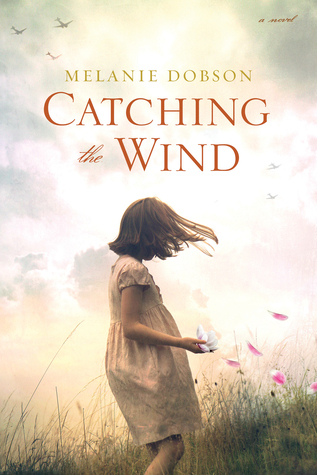 When Philip doesn't return, Clare finds her son is missing and herself in labor. Enter Jeremiah Ring: Virginian frontiersman and adopted Shawnee native, who stumbles upon Clare during her labor and helps bring Pippa into the new and dangerous world. And reluctantly he tells Clare that he will help her find her lost son. This story was so well written and the theme that encompassed the whole thing was one that really got me. The verse that kept showing up was from Matthew 10:29-31 that says, "Are not two sparrows sold for a penny? Yet not one of them will fall to the ground outside your Father's care. And even the very hairs of your head are all numbered. So don't be afraid; you are worth more than many sparrows". Clare struggles with trusting the Lord and that's something that I generally struggle with too. So often we want God to do things our way because we think we can get what we want done faster or better than he can. When in reality, his way is always better and his way is always good. For more information Many Sparrows by Lori Benton, visit our website here. The Evaporation of Sofi Snow was published in June of this year (2017) and has been screaming at me from my to-be-read list ever since. I dove in a couple of weeks ago and was not at all disappointed - I finished reading it in two days between work shifts, homework, and several instances of inescapable socializing. Mary Weber has held my attention in the past, for a full trilogy of fantasy and world-building wonder in the form of Storm Siren and the subsequent sequels (which you can read about in my general raving and gushing here for the first two and here for the third installment in the series). And so, I had high hopes for The Evaporation of Sofi Snow. In the first two or three chapters I was a little afraid I would be reading a Hunger Games meets Divergent rewrite but I was gloriously mistaken. Weber introduces an aspect of science fiction to her post-apocalyptic world right from the beginning that neither of these series invested in - aliens - and it is a never-ending ride of twists, turns, and suspense. If you can't stand a cliff-hanger, you may want to wait until the sequel is released - the way she left me hanging in this one nearly made me scream. It's been a while since an ending got to me that well. Mary Weber, colour me impressed. Sofi and Shilo are her inseparable sibling characters at the crux of the story, and Miguel is the troubled, mysterious, enemy-of-my-enemy-is-my-friend, with a complicated history between him and Sofi to make the drama all the more real. This is everything my YA-Fiction-loving heart could ask for: drama, troubled teens, broken relationships, close sibling relationships, virtual gaming, futuristic technology, strong female characters in prominent roles, blackmail, human experiments, and of course, nothing is ever as it seems. The sequel, Reclaiming Shilo Snow, is set to release in March of next year. I will be waiting with bated breath, falling off the edge of my seat in anticipation. This new series by Mary Weber is my favourite in youth fiction this year. March 6th, come quickly! For more information on The Evaporation of Sofi Snow by Mary Weber, visit our website here. Once again, here is a book that did not lure me in of its own power or weight or merit, or even cover. 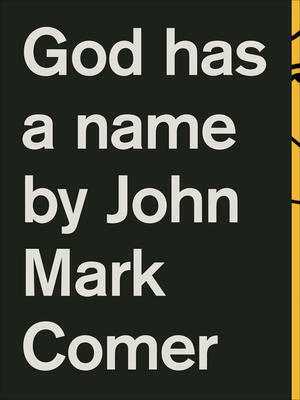 I read this book because of controversy - the controversy and debate around the person of Rob Bell and authors like him. A little while ago I reviewed one of his earlier books, Love Wins. You can read my post by clicking here. "What is the Bible?" is not a question that I would consider "safe" for a number of different reasons. It's a question that sparks conversation and makes people think. It's a question that brings people to ideas and conclusions that will inevitably differ and disagree one from the other, from the other, from the other. Rob Bell does this in such a way that I am enveloped in questions, rather than answers. I am overloaded with wonder rather than conclusion, idea rather than opinion, suggestion rather than hard-and-fast rule. He writes in such a way that leaves my thoughts fluid, shifting, dancing (Mennonite-Brethren-heritage-say-what? ), and open to change. As a child of Mennonite-background parents and grandparents, where dancing was once strictly forbidden, that may be a very terrible metaphor. But that was then, and this is now. That is the way of the world, isn't it? The world is never static, always changing. I am not suggesting that the Bible itself should be open to change - having a closed canon is not a bad thing. The thing that could be open to change is our opinion, perception, and interpretation of this "ancient library of poems, letters, and stories". - Why should we bother with such an ancient book? - Isn't it all myths and fairy tales? - What about all the violence? - Isn't it dangerous to take seriously? - Isn't it only for Christians? - Can it help us? - Just what is the Bible? It's all about the questions, and not just these. 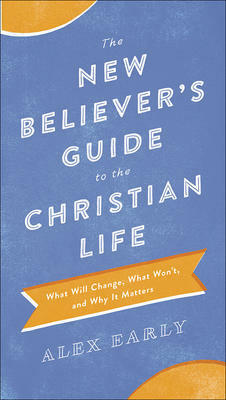 And rather than becoming all about the answers, Rob Bell has an incredible way of remaining in the sea of questioning. Instead of pretending that he has it all figured out, he is content to sit with the questions - the hard questions - and listen for the wealth of answers that could be. For more information on What Is the Bible? by Rob Bell, visit our website here. "What do I get a new believer??" We get this question ALL THE TIME. So in order to make it easier for you (the customer) and for us, I've found several books for kids all the way to adults, to help you and your friend, parent, brother, grandmother, uncle, and your cousin twice removed into a better understanding of Christianity! This book is great! It has so many helpful and useful pages to help your littlest understand this simple and huge idea that Christianity offers: that Jesus LOVES us and wants us to understand His word. From the serious questions that even we adults struggle with, to knock knock jokes, and why are there so many translations, this book covers the basics. 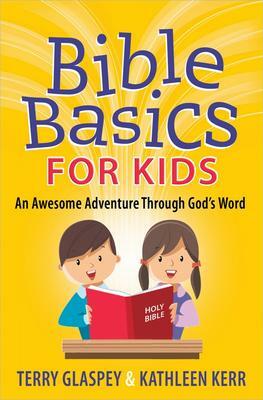 For more information on Bible Basics for Kids by Terry Glaspey, visit our website here. This book is a-w-e-s-o-m-e. It's hard to summarize because this book covers SO much. Champ Thornton describes to adults that his purpose is that kids will love, trust, and follow Jesus. He also says "I hope this will encourage young readers to keep on learning about his Word, his gospel, his church, and life in his world". I'd say the approximate age group that would enjoy this book and find it helpful would be ages 8-14. It'd also be helpful for parents and teachers for either devotions or discussions. 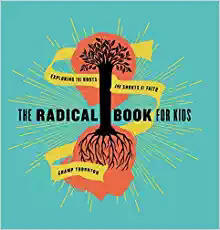 For more information on The Radical Book for Kids: Exploring the Roots and Shoots of Faith by Champ Thornton, visit our website here. Just flipping through this book, I would DEFINITELY recommend it to Youth Pastors who want to give their "newly accepted" students a little extra help. Scott Rubin has done a great job at making this book "cool". It looks pleasing to the eye and it's written in a language that our youth will understand and accept. In the second section, Rubin talks about how there are no perfect Christians and he answers the (possible) question of "how can I be sure I'm a Christian"? In the very last section, Rubin goes through and answers the questions like what is baptism, communion, etc. But most of the book would be a walk through of how the life of your teen is going to change. A great little book! 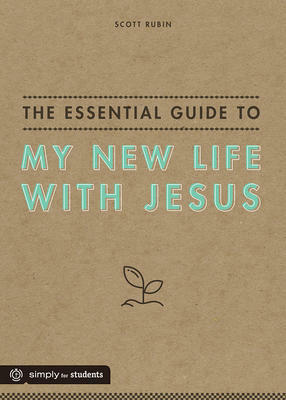 For more information on The Essential Guide to My New Life With Jesus by Scott Rubin, visit our website here. Two things about this book: each "chapter" or question is followed by a Bible verse that has to do with, or answers, the question being asked, and Greg Johnson's answers only cover 1-2 pages. And he covers all the FAQs that teens are facing or asking, or their friends are asking. This book would be good all on its own or would be a good pairing with the book above. 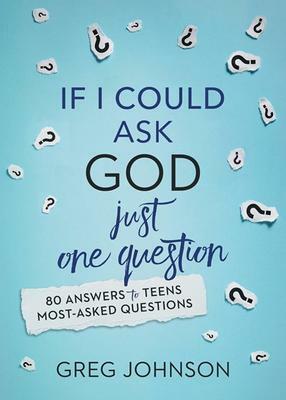 For more information on If I Could Ask God Just One Question by Greg Johnson, visit our website here. This book is a great option for someone who has just accepted Christ as their Lord and Savior. The introduction celebrates the decision of your loved one (or yourself) and then acts as a basic guide for how your life is going to change. Alex Early says this in his introduction for the book: "One of the early themes of this book is the simple fact that life with God is not always fun. Abundant? Yes. Fun? Not necessarily". I'm happy he addresses this out front. Being a follower of Christ does not mean that life gets automatically easier. Likely, it will get harder, but fundamentally sweeter. Besides a guide for entering into this new life, Early goes through a bunch of topics that will come up eventually. For example: identiy, prayer, obedience, baptism, church membership and money. And each chapter ends with "questions to consider" for personal or group study. For more information on The New Believer's Guide to the Christian Life: What will Change, What Won't, and Why it Matters by Alex Early, visit our website here. This book is also a great option for someone who has just accepted the Lord. I'd recommend getting this book and The New Believer's Guide to the Christian Life together, as they both talk about basic concepts but talk about different topics. James Sire says in his introduction, "The chapters are organized around a simple scheme: creation, the fall, redemption, new life in Christ, and glorification." Also, in this expanded edition, he adds a chapter on the person of Jesus. An all around good introductory book. Easy to read, not too deep; a great starting point. 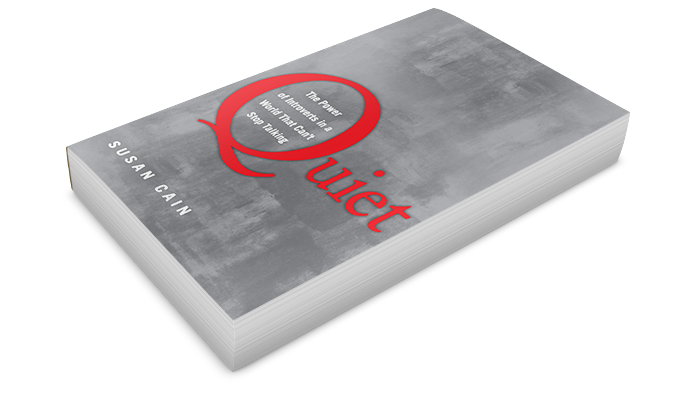 Each chapter concludes with "questions for reflection" for either personal or group study. 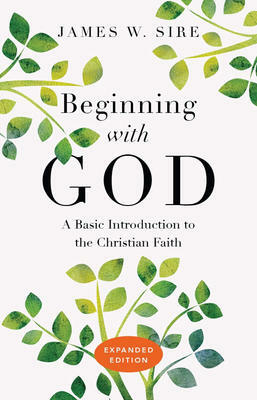 For more information on Beginning with God: A Basic Introduction to the Christian Faith by James W. Sire, visit our website here. For the quiet ones, the shy kids, the ones who are a little bit different than "everyone else", The Boy Who Grew Flowers is an excellent reminder of the delight and wonder and power in being outside of the norm, depending on how you carry that title. This is a wonderful, colourful, beautiful children's book, written especially to the ones who don't seem to fit in anywhere else, and a powerful reminder that everyone is a little bit different than everyone else. We just have to give them the chance to show it, purely and proudly, with all of its wonder and beauty and colour. For more information on The Boy Who Grew Flowers by Jen Wojtowicz and Steve Adams, visit our website here. I read the four part series of Doon a while ago (you can read my blog post about the series here) and I would present Toward a Secret Sky to anyone who resonated with the series. Heather Maclean uses a similar writing style and directs her narration toward the same age group - 13- to 18-year-old girls looking for a bit of paranormal, world-hopping, and innocent romance. Not to mention, it all takes place in Scotland, with their accents in brogues and lilts, and kilts of course. This story begins with a funeral, oddly-placed screaming, and a sudden move to the small town of Aviemore, Scotland. Maclean doesn't go overboard with the Scottish accent by writing in every quirk and sound, so I enjoyed trying to emulate the sound in my mind as I read the dialogue of the different characters as they were introduced. The main character, Maren Hamilton, is a 17-year-old American, recently orphaned, who moves to Scotland to live with her newfound legal guardians - grandparents she has never met. So begins a tale of twists, turns, and tragedies involving humans, angels, and demons in a battle for truth, life, and forbidden love. The journey spans from America to Scotland to the underground city of London and back again. Essentially it's everything I could have possibly asked for in a book when I was 13- to 18-years-old. For more information about Toward a Secret Sky visit our website here. I have to be honest: I decided to read this book for two reasons. The first is that it sparks such controversy. Love Wins is either loved or hated - there is no in between. USA Today was of the opinion that "Rob Bell has stuck a pitchfork in how Christians talk about damnation". This sparked my curiosity. The second reason is that I wanted to know how a man who enters peoples' testimonies with such loving kindness can come to be caught up in the crossfire of such heated debate. I have listened to a podcast interviewing him on his book What is the Bible?, a book which I have also read, and I have heard stories of how he brings people together and interacts with them with incredible loving kindness and gentleness. I won't pretend I'm deeply theological and can argue over, about, or against any implications that Rob Bell's work might lead to, but this book speaks love, life, and goodness, to me and to many. This book speaks, breathes, believes Jesus. This is not a new book, nor is it his newest. This year he released What is the Bible? which describes more of this controversy that I find so drawing, only it is a fuller, deeper, and in my opinion better, account of some of his more detailed theological opinions. Love Wins attempts to examine the context of scriptures in order to guide the most accurate interpretation that it can. What I love about Rob Bell is that he always seeks to keep the original intent and context of the scriptures in mind - these are things that are so easy to forget, but they make the words feel that much more approachable, real, and applicable. What Love Wins really wants to know is whether or not we've been looking at "heaven, hell, and the fate of every person who ever lived" all wrong. But I find that the most beautiful thing about the way Rob Bell writes is that he doesn't provide a book of answers to all of life's questions. He provides interpretations, suggestions, and theories while acknowledging firmly that he does not have all the answers - that no one has all of the answers - and he is also still searching, the same as anyone else. For more information on Love Wins by Rob Bell, visit our website here. I have not been this tempted and enraptured by adventure since Tosca Lee's Progeny and its sequel, Firstborn. This is of an entirely different realm. Behind the Canvas, written for ages 8-14, is an unspeakably incredible adventure; a seamless blend of C.S. Lewis' Narnia and Wayne Thomas Batson's The Door Within Series, coming together with oodles of art history and the absolute wonder of creativity. The protagonist, Claudia, is a twelve year old girl who develops an extraordinary amount of courage and bravery along the way. She has delightful character and personality - a quiet disposition with a penchant for fierce passion. She is everything that my introverted, bookworm, nerdy heart longs to become. I love her, I love this book, I love it all. Alexander Vance takes Claudia from observing art in all of its colour, to living it, when she discovers an entire world behind the canvas. It is everything a twelve-year old (or anyone of any age, for that matter) could ask for in terms of adventure, with dragons and knights, swords and fire, friendly dogs and terrifying monsters. Claudia's journey takes her from her world into this one as she follows loyalty in friendship. She strives to rescue her newfound friend Pim, who has been trapped for years in that painted world by a witch with incredible, awful power. It's a story of loyalty, first of all, and trust. And it's a story of confidence, in others and in our own gifts. Aside from the adventure in all of its exciting grandness, some of the best parts of this story are its lessons and morals. Alexander Vance writes about what is true and good, triumph over evil, and redeeming destruction and pain into newness. This is a story of creation, creativity, and the incredible influence of art, and it's a story to influence and inspire adventurers and artists of all ages. For more information on Behind the Canvas by Alexander Vance, visit our website here. Finding God in the Waves is a far cry from orthodox Christianity, and it may be better for readers to approach this book with that in mind. Mike McHargue - better known online and by his friends as Science Mike - did not write this book for the Christian with a firm, rooted faith, seeking an inspiring story that validates their belief. He wrote this book for almost everyone else - the doubters, the seekers, the lost. It is not a book to explain, answer, or convince. It is not a book to complain, convict, or condemn. Science Mike does what I imagine Christ did, and does, in meeting people where they're at - anyone, anywhere, anytime. This book walks through his experiences and transitions from Fundamental Evangelical and Southern Baptist, to atheist, to...something else. This is not a book of answers, or a backslider sliding back into the fold, because after his transition to and from atheism, Science Mike's approach to Christianity, Christ, and even God, is not at all the same as his pre-atheism days. There is an incredible pressure in many Christian circles that attacks doubt and questioning as the root of all kinds of evil, and a one-way-ticket to eternal torment. But the reality is that everyone has doubts. This book, even if it is an impersonal ink and paper vessel, is a safe place to experience, allow, and explore those doubts and questions. This book is for the Doubting Thomases of Christianity, the believer turned atheist, turned agnostic, turned somewhere in between. This book is for those who are dissatisfied with what their particular stream of Christianity has taught them, but who still hold onto belief - some kind, any kind, of belief. And it's for the scientists within those brackets. The reconciliation of science and faith is a major tension in so many religious contexts contained within Christianity. I personally do not have a very scientific method of thinking, but I have found tension between some scientific truths and faith truths that are difficult to contend with. The magic of Science Mike's book is that it contains all of the wonder of scientific discovery and all of the explanation, with none of the abstract language. He never lost me in statistics or convoluted theories. Finding God in the Waves was written to be approachable, and it is, in the most comforting way. For more information on Finding God in the Waves visit our website here. "Short and sweet, this is an excellent story to help kids to deal with bullies and to accept others (and themselves) just as they are." She recommended this read to me the other day - whether she expected me to actually follow through is besides the point, and I did that very day, to my great delight and pleasure. A Boy Named Queen is an excellent, short chapter book starring a ten or twelve year old girl who is just going back to school, and on her first day, a new student is transferred into her class. It's incredible how one small detail - one small quirk - that causes a person to stand out from the crowd can pave the way for all kinds of bullying and harmful teasing. But we've all seen it happen. From where the narrator sits, the only thing really different about Queen is his name: Queen. He is just as interesting or uninteresting as the rest of the children in his class - just as quirky or conventional as our main character, Evelyn, and simply because of his name he is treated differently. The story is written for children around the ages of 8-12; short chapters with a voice for description and dialogue that a child would come up with. The story is a gentle but effective way to promote the welcoming of differences and the acceptance of the unexpected. The author, Sara Cassidy, has a gift for making the children's mocking reaction of Queen seem unfair and completely unfounded, rather than blatantly pounding out an opinion or rule. By following this narrative, the mind is guided toward the conclusion of the story, lacking any kind of force but holding a hugely significant amount of conviction. I'm definitely older than 12, but I found A Boy Named Queen to be unparalleled, refreshing, and an absolute joy to read. Hats off to Sara. For more information about A Boy Named Queen by Sara Cassidy, visit our website here. Unblemished is what I would call a "coming of age" story. The lead character, Eliyana, is nearing her eighteenth birthday when her life is suddenly upended and forever changed. Her mother - the only family she's ever known - dies tragically, and a series of strange, seemingly random events draw Eliyana into another world where nothing is as it seems, and nothing is as it should be. Sara Ella writes Unblemished with a mind for twists and turns on every page. Every character seems to interact in such a way that trust is questionable, the truth is never the whole truth, and there's always something else going that hasn't been figured out yet. As young adult fiction, this story could be aimed at teen girls anywhere from the ages of 13-19, but greatly enjoyable for those above that age-range who still look for cheesy teen-romance, love triangles, and all of that coming-of-age awkwardness that makes a world-hopping, battle-raging, hormone dancing story all the more worth reading. The most powerful part of Sara Ella's Unblemished, however, is the message she is trying to communicate - a message of worth, beauty, and trust. Eliyana is on a journey that seeks to teach girls and young women that yes, they are absolutely beautiful, but that their worth extends so far beyond their beauty and the way that they look. This is such a crucial message for today, in a world where appearance sometimes seems to be the only thing that matters or makes anything or anyone of any worth at all. There is so much more to a woman than her beauty or her appearance. Why should her appearance even be a measure of her worthy? When did something so surface-level, fluctuate, and subjective become a measure of any kind of worthiness or value? For more information on Unblemished by Sara Ella, visit our website here. I came to you once before, sleep deprived and overwhelmed, with a story that demanded to be told. When I read The Progeny by Tosca Lee last year, I did it all in one sitting and sang its praises for months. Now I'm back with the second installment - the conclusion to this thrilling ride - Firstborn, a progeny novel. Following Audra Ellison (known in the first book as Emily Porter) Firstborn picks up right where The Progeny left off. Audra now knows the secret she was protecting when she gave up her memories for the bliss and protection of ignorance, and now the stakes are higher than ever. The more she learns, the more dangerous everything becomes. Tosca Lee's adventures following Audra are riddled with car chases, crossfires, hostages, blackmail, and a cast of characters who never fail to sweep the reader into their plight of wild turmoil, and even wilder emotions. Rarely do I find an author who can entertain as thoroughly as Ted Dekker, but so far Tosca Lee has been the closest - dare I say, close enough even to rival him. Tosca Lee's writing is high energy, always moving, and I'm hoping that she can keep up the pace for many more years to come. For more information on Firstborn by Tosca Lee, visit our website here. Just by paging through, this book offered me the nostalgia to reformulate the dreams of my tween-self back into present day reality. I've been writing since I was twelve, and my style, skill, and genre choice have all changed and developed so dramatically that the wonder of writing feels a little different every time I pull out a pen or sit down at a keyboard. The Usborne Creative Writing Book is everything I would have loved as a young author, and everything I could still use to recreate that magic a decade later. The last line on the back of the book is the writer's pride and joy: "There's lots of space for you to write in, but no scary blank pages". One of the most interesting things I have learned about writing is that a blank page is sometimes such a daunting task that the only way to get anything started is to write something - anything, regardless of the state of its gibberishness or uselessness - just to make the page less empty, which gets the thoughts and ideas freer to flow and grow. This book is so exciting to me - I sat down with it for an hour at a table and just flipped through, reading and looking over each colour-laden page and exciting scribble notes. It's the young writer's dream, for everything from stories to poems, comics, reviews, blogs, scripts, and other forms of writing. The illustrations assure that no page is boring, inviting the reader - actually, the writer - in to learn and immediately create. There is extensive space to trying out new writing tips and tricks for all the different kinds of platforms. Some of the most fascinating are the article and journalism portions, and character creation/building sections, not often included in the idea of writing. If your child, or you yourself, at any age, is/are a poet, a novelist, a journalist, a blogger, a columnist, a critic, a fanfiction addict, and/or a short story fanatic; if they or you are in search of inspiration to feed their/your desire for creation, The Usborne Creative Writing Book is an exciting, extensive, uncomplicated way to explore the incredible creative experience of writing, in any form. For more information on The Usborne Creative Writing Book visit our website here. Gregory Koukl, author of Tactics, released a new book earlier this year entitled, The Story of Reality: How the World Began, How it Ends and Everything Important that Happens in Between. And it’s only 160 pages. This book is recommended by well known authors such as – Lee Strobel, Rick Warren, Joni Eareckson Tada, J. Warner Wallace, Sean McDowell, Nancy Pearcey and many more. And I agree. For many of us, books filled with “churchy jargon” are incredibly intimidating, whether we've grown up in the church or not. In The Story of Reality Gregory Koukl has taken the convoluted history of humanity and made it bite size. This is not to say he has dumbed anything down, rather, it’s like he’s asked you to pull up a chair and have a conversation with him about these big truths of our reality. Koukl is asking both the Christian and the non-Christian to think about the world around them. To use reason to assess Bible’s worldview because being a Christian is not meant to be “a leap of blind faith”. This book is something I would give to a non-Christian seeking answers, a high-schooler feeling challenged in his faith or a Christian friend who wants to better understand the Biblical story. It’s something I think should be on every church or school library’s shelf. 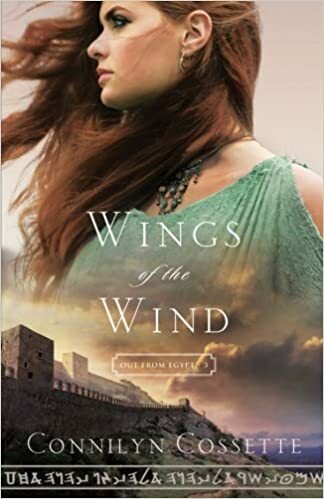 This is the continuing story and final book from the Out of Egypt series which builds upon the previous novels with Kiya, an Egyptian slave who left during the Exodus, embraced Hebrew faith and married the brother of Shira, a midwife among the Hebrew nations. We are now introduced to Alanah, a Canaanite woman who was raised motherless alongside her warrior brothers. When her entire family is killed in battle by the Hebrews, she disguises herself as a man and sneaks onto the battlefield, desperately fighting to avenge her family, with one intention... not surviving. Tobiah is a Hebrew warrior who has spent many years on the battlefields and is shocked when he finds an unconscious woman among the casualties. An act of compelling compassion causes Tobiah to bring Alanah back to the Hebrew camp and seek a healer. Unaware and unprepared for the consequences of his kindness, he must boldly face the new challenges and changes to his imminent future. In order to survive, Alanah must unite with her enemy, but will a terrible revelation drive her toward an even greater danger? The final book's setting takes place some years after the horrific fallout of Korah's rebellion, with the Israelites roaming the wilderness for forty years whilst fighting to claim the Promised land of Caanan. The author wonderfully creates a story from this blank space where little is known to us. Connilyn Cossette expresses "if readers get anything from [her] books, [she] hopes that it is a desire to taste the Word again and regain that sense of wonder about the mystery of God who desires his children to be fed from its nourishment daily. May it never be mundane to us, or drudgery, to collect the freely given treasures tucked between its pages." This series has done just that and opened my eyes to the unknown possibilities within our history but also reflecting upon the amazing journeys and trials God leads his people through, vowing to never leave us or forsake us. Faithgirlz has a new series called Lena in the Spotlight, a chapter book geared towards girls ages 8-12. Have you seen the movie The War Room? (If you haven’t I highly recommend it for the whole family). If you have, then you know the author. This book was written by the 12 year old Alena Pitts who stars as Danielle Jordan in the movie. She proved herself to be an incredible actress, so she thought she’d try her hand at writing. As a 24 year old I was skeptical about a book written by such a young person and her mom, but was pleasantly surprised by this captivating story entitled Hello Stars. As Priscilla Shirer puts it, “Hello Stars is a bold and colourful story that will engage and inspire young readers.” It’s loosely based on Alena’s own experience of being cast in the movie War Room. It’s not technically for my age group, of course, but I was drawn into the story by the relatable emotions, experiences, and personality of the main character, Lena, who is simply telling you her story. Besides the storytelling Alena and her mom have managed to tie in life lessons from the Bible that will bring encouragement and biblical knowledge to young readers. The verse Jeremiah 29:11 is weaved into the story line teaching a valuable lesson about trusting in God and his plans for you. This book also includes delightful pictures every now and then helping bring this story to life. The next book in this series, Day Dreams and Movie Screens, is already scheduled for release in September this year. You can reserve a copy of it with us today! "Better that one heart be broken a thousand times in the retelling... if it means that a thousand other hearts need not be broken at all." Melanie Dobson uses this quote by Robert McAfee Brown which perfectly encompasses the inner struggle that Daniel Knight faces as he tries to find out what has happened to his childhood friend Brigitte Berthold. They escaped from Gestapo agents who had arrested both of their parents and the young children fled Germany and crossed over to England where they were separated upon arrival. Daniel vowed to find Brigitte after the war, a promise he has fought to fulfill for more than seventy years. With the aching retelling, constant searching and investigating of the possibility of her whereabouts, Daniel hires an American journalist named Quenby Vaughn whose tenacious ability to discover missing people and reports on various wartime accounts convince Daniel that she can uncover the details of Brigitte. Quenby is currently investigating WWII espionage stories which gives her the success necessary to move forward where the countless investigators before failed to locate Brigitte. With the assistance of Lucas Hough, Daniel's lawyer, the two delve deep into the past following a trail of deception, sacrifice, and healing that could change all of their futures. I read this book in less than eight hours, the vivid historical details and mysterious interlaced stories all connected with espionage drama takes your mind on a whirlwind journey of anticipation and heartfelt delights. The novel boasts very interesting and thrilling accounts of British aristocracy and upper class specific to their involvements of conspiracy with the Germans which included handwritten letters, invisible ink, micro-photography and secret codes. All with the goal to aid Hitler's assault and wreck havoc on England's facilities. Despite all the heartache and sorrow war and unknowns can bring, we are reminded that "resilience springs from hope, and hope from love." Every history lover will not be able to put this book down as all adult responsibilities were gladly set aside. - Do you feel lonely? - Is there a friendship-shaped hole in your life? - Are you open to reimagining your relationship with God as a friendship? - Do you want to be transformed into the person God wants you to be? - Does the possibility of starting a lifelong journey with God attract you? - Do you long for a real experience of the living God? If you answered yes to any of these questions, he asks that you "join [him] in discovering how to begin a transforming friendship with God" (18). He then takes the reader on a journey through the different aspects of God's friendship with each of us; the facets of it, the benefits, the determinants of its necessity. He explores spiritual disciplines such as prayer and meditation, as ways of growing closer in friendship with God, and what I found the most striking was the way that he considered what he called "Our Friend's Address Book". In other words, the friends of our friend - the friends of God. This offers an excellent perspective on the verse in the Bible which reads 40 “The King will reply, ‘Truly I tell you, whatever you did for one of the least of these brothers and sisters of mine, you did for me’" (Matt. 25:40). From Hudson's writing, "the least of these brothers and sisters" is an address in God's address book, and a location where we will be able to see and live out the Gospel in everyday life. Nathan Foster reviews the book quite well in a couple of sentences: "There is something very inviting about this book. With the heart of a wise and caring pastor, Trevor Hudson effectively creates a safe space for us to work honestly with a topic all humans face. This book will help so many!" Aside from a voice of care and guidance, each chapter also includes a friendship exercise and reflection to make the journey from loneliness to friendship a tangible and attainable goal. For more information on Beyond Loneliness by Trevor Hudson, visit our website here. This little book is a quick read, which makes it all the better for pausing and reflecting on the depth that it holds. I read it for a class that I was taking. The Practice of the Presence of God emphasizes the spiritual disciplines of servitude and stillness. Brother Lawrence worked in the kitchen at the monastery where he ended up, after time served in the army and a stint of isolation in the desert in search of spiritual growth. There is a short biography detailing his life in this book, but most of The Practice of the Presence of God is a collection of letters written by Brother Lawrence to his Brothers and Sisters in Christ who had written to him troubled, struggling, and searching. His literary voice is that of a gentle mentor seeking to counsel and to comfort with the wisdom that he seeks from God to offer. His words emanate humility, patience, and kindness that comes from a life of intentional servitude. Brother Lawrence practices the art of finding God in every instance, every act, and every moment, through a discipline of service so thoroughly honed as to be renowned even now as inspirational.